If you want to improve your ACT Science score, the two important skills you need to pay attention to is your reasoning and analytical skills. You need to be able to identify patterns in the data presented in tables, maps, and graphs, as well as your ability to interpret questions rationally, taking into consideration the patterns you have extracted from the data. Most problems will provide you with more information than you need to answer the ACT Science test questions correctly. 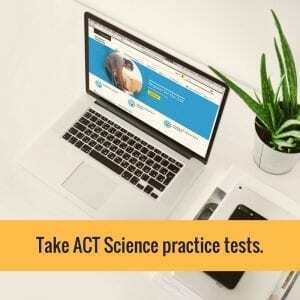 The ACT Science section will not directly test your knowledge of Biology, Chemistry, Physics, or Earth Science. You don’t need to remember every Science concept you’ve learned from school, instead, you must know how to reason as well as solve problems scientifically. The ACT Science test checks your scientific reading comprehension skill. It checks whether you can analyze and draw conclusions from tables, charts, graphs, and experimental procedures. Similar to the ACT Reading test, the ACT Science test passages will provide almost everything you need. The ACT Science test usually has three types of passages: Conflicting Viewpoints (typically 7 questions), Research Summaries (typically 6 questions) and Data Representation (typically 5 questions). 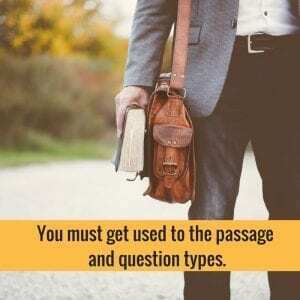 These passages are not in order – test-takers will usually see 3 five-question sections, 3 six-question sections, and 1 seven-question sections, which have appeared on some recent ACT tests. Don’t worry about not having advanced scientific knowledge. Even though it’s a science test, you don’t need to memorize science concepts. You can still score higher as long as you improve your ability to analyze and interpret scientific problems. The huge obstacle separating you from your ACT Science test target score is the limited time you are provided to read 7 passages and then answer 40 test questions. 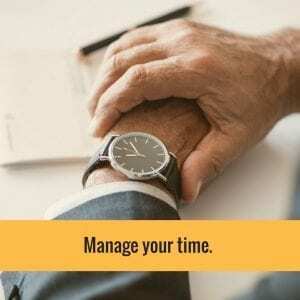 The 35 minutes time frame might not be enough for you to finish the test, so you need to speed up if you want to finish the ACT Science test. Answer the questions systematically. Don’t dwell too long on a passage. Instead, quickly read it. Then get the main point and analyze the figures. This should help you solve the questions being asked. However, if you think you’re running out of time, you’re probably spending a disproportionate amount of time on difficult test questions. It would be better if you identify the difficult and time-consuming questions, highlight them, and you can come back to them later. If you want to finish the ACT Science test, don’t spend two minutes on a single test question. One of the most reliable ways to improve your score on the ACT Science test is to answer real ACT Science practice problems. Time yourself and try to finish the test in less than 35 minutes. Check your mistakes and understand why you committed those errors. Analyzing your mistakes will help you improve. 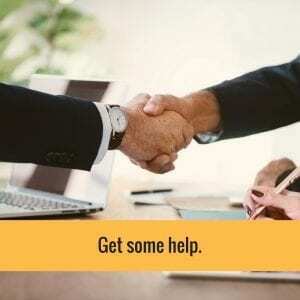 Although the ACT test can be self-studied, several students find that getting some extra help from a tutor or support from fellow students who have taken the test can make a huge difference. In expressing scientific data, the ACT Science test tends to include graphs, charts, as well as other visual tools. In fact, about one-third of the ACT Science test is composed of Data Representation questions. There’s no reason to be terrified with graphs and charts, as they are intended to be a clear and concise way of organizing data. You can be more comfortable with graphs if you read a lot of scientific publications or research. You can measure your skills in data interpretation by first glancing at the graph to determine what it represents and then read the article to see if your interpretation is correct. ACT test-takers aren’t expected to be an expert in all science subjects. The ACT Science test covers such a broad range of topics. What is expected is for the students to have the basic skills to analyze, interpret, and solve scientific problems. If you want to do well on your ACT Science test, it would be better for you if you’re familiar with the scientific method as well as experimental design. 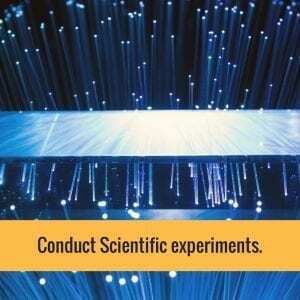 Conducting scientific experiments is an ideal way to enhance your science skills for your ACT Science test. Even though the ACT Science test isn’t the ACT Math test, test-takers will still be expected to work with numbers on the exam. Often, scientific experiments will be explained numerically in a graph or table. On your ACT Science Test, you only have 35 minutes to answer the 40 questions. Since you will be going straight to the test questions, you will not be as time-pressured as you are in the ACT Reading section. Thus, use that extra time when you’re finished to go over your answers. Getting your goal score on your ACT Science test isn’t as difficult as it seems. You don’t need to be a science expert in order to get the high 20s or even 30s score on your ACT Science test. 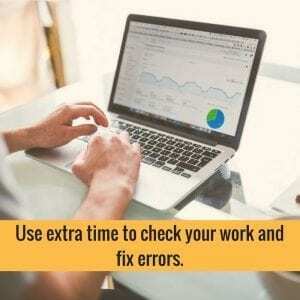 All you need to do is pay extra attention to the details, watch your time, and take a lot of ACT Science practice tests before your ACT test date.